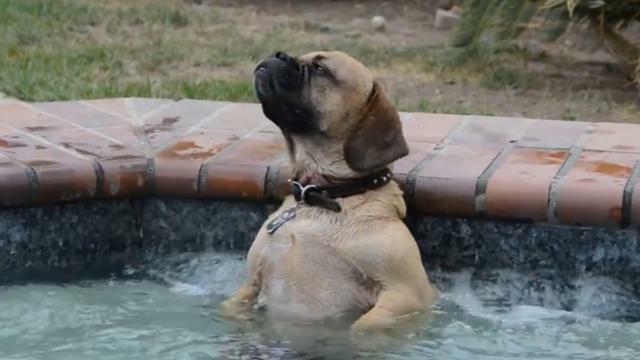 Cuzzie the dog loves soaking in the hot tub. He looks really at home there. The look of pure bliss on his face is unmistakable!Cuzzie loves getting in the hot tub and feeling the jets of water on his back. The way he reacts is absolutely priceless!